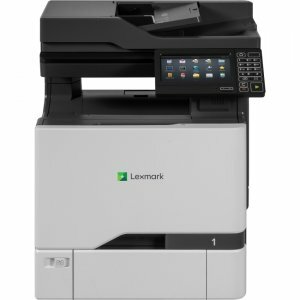 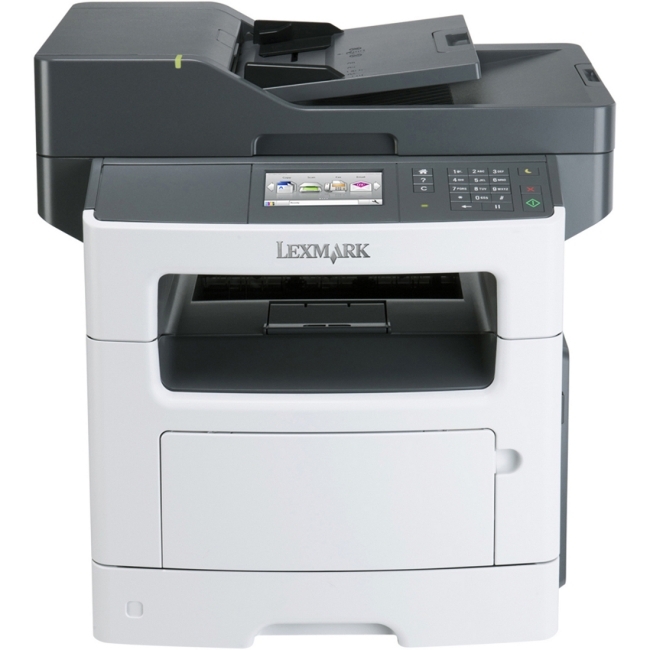 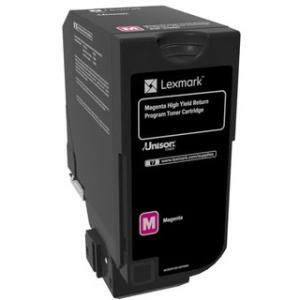 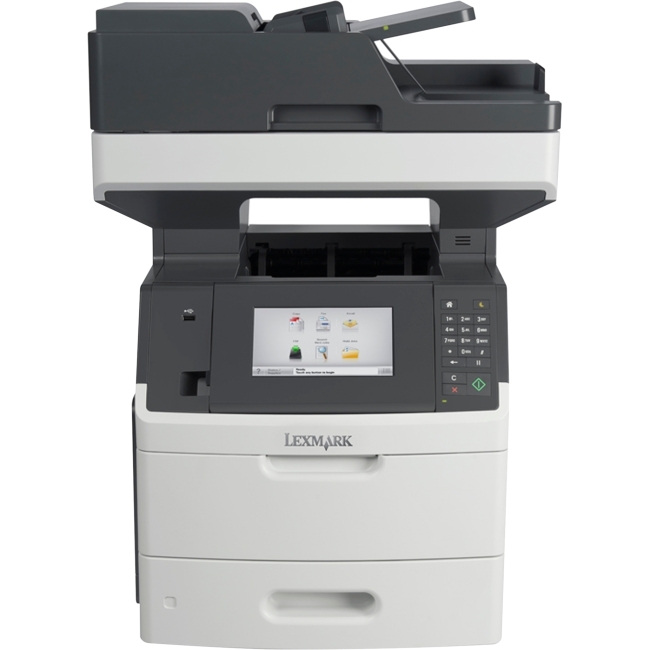 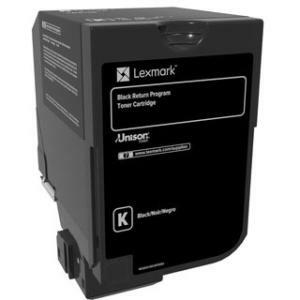 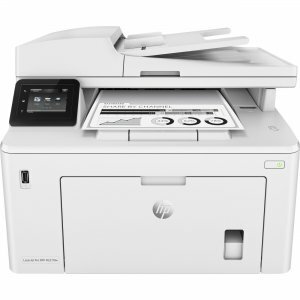 Workgroup-level MFP offers performance and features of more costly devices The Lexmark CX725dthe offers workgroup-level printing performance, advanced scanning, hard drive with OCR and enhanced functionality, plus support for up to 2300 pages of input. 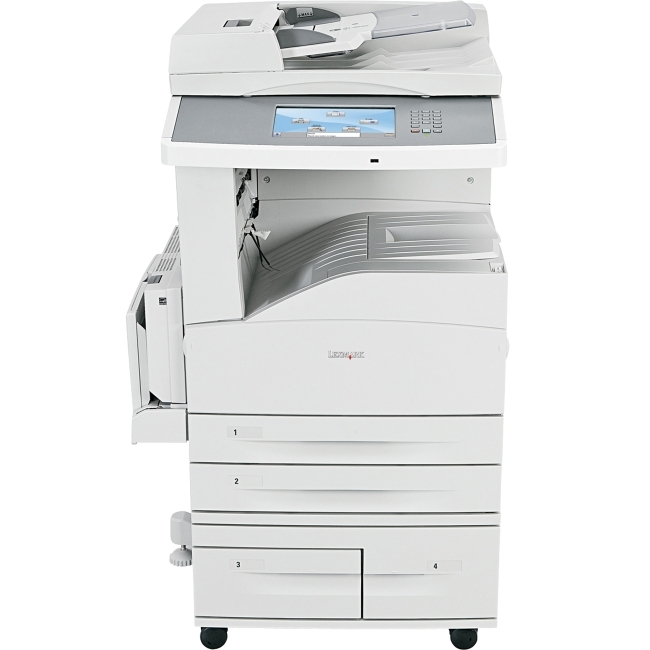 Quad core power A 1.2 GHz quad core processor with up to 4 GB of memory gives the CX725 a powerful print controller. Exceptional color Professional color features including ultra-sharp 4800 Color Quality, PANTONE® calibration and Lexmark Color Replacement work with Unison Toner to deliver precision matching of critical hues. 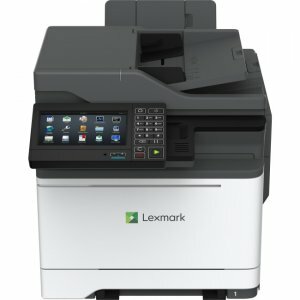 Solutions flexibility Lexmark-exclusive Cloud Solution Framework (cSF) and Embedded Solutions Framework (eSF) applications make the MFP programmable to meet the needs of each customer and industry. 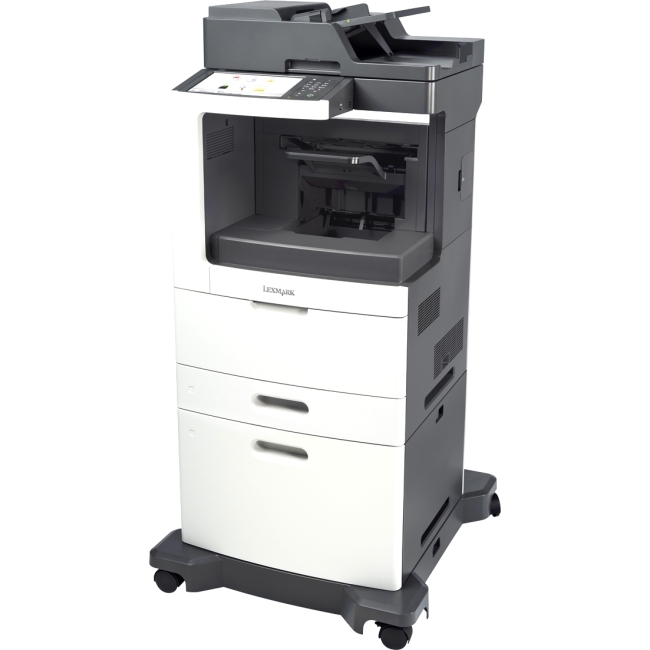 Versatile media handling Media loading and feeding are engineered for ease, reliability, and versatility, with up to 1200 pages of input capacity (expandable to 2300), small-media and banner-length support and exceptionally durable input trays that resist misfeeds. 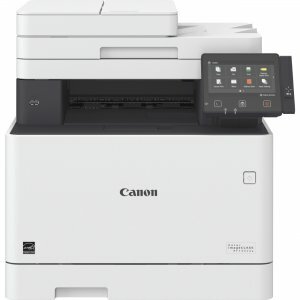 Light-touch screen A bright, 7-inch color touch screen features an ultra-smooth surface and can be activated by almost anything, including pens, fingertips or nails--without pressure or direct skin contact. 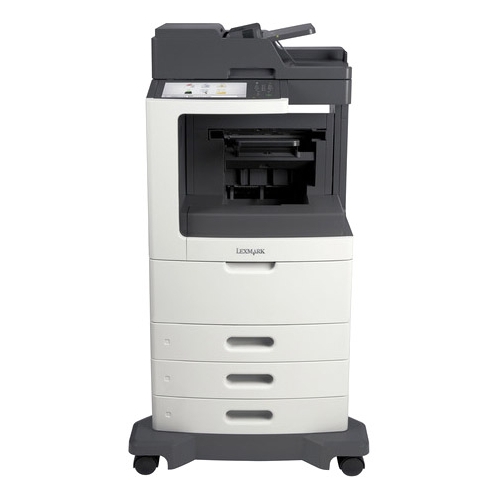 Advanced scanning Automatic deskew, mixed-size scanning, page-level jam recovery, integrated file compression and OCR make the CX725 a scanning power tool.